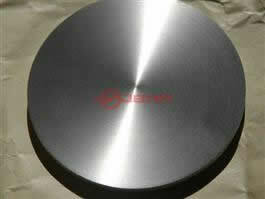 Tungsten wire, also known as wolfram wire, normally has two different surfaces as black surface and cleaned surface. We mainly offer two kinds of tungsten wire, that is, pure type and K-Al-Si doped type (non-sag tungsten). And we can offer spool and straight type, whose diameters are all above 0.05 mm. Covered with graphite, tungsten wires are regularly black. However, if graphite surface being removed, they appear with metallic luster. According to various impurity contents, tungsten wires can be subdivided into WAL1, WAL2, W1 and W2 designations. Tungsten wire is mainly used as tube lead, special lamp filament like halogen lamp filaments, heating element in high-temperature furnace, vacuum deposition material of the electronics industry, welding electrodes, etc. Tungsten wire can also be utilized as platinum contact of automobile engines and other various types of electrical contacts. 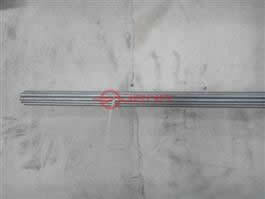 Non-sag tungsten wire is tungsten doped with the element of K (potassium) or other elements to achieve the effect of non-sag. And they are also known for their outstanding low resistance at high temperatures. About 90% non-sag tungsten wire is used in incandescent lamps. Besides, car and motorbike lamps are one of the most important applications. When using non-sag tungsten wire as filament in such bulbs, the wire can have the most effective effects for the cars and motorbikes to achieve stable light from the lamps. The application in incandescent lamps has the same effects. 1. High temperature usability. The working temperature of incandescent lamp with tungsten wire is between 2300℃ and 2800℃. We pack tungsten wire in plywood case and send them by ocean or air. Established in 2008, Zhuzhou Jiabang Refractory Metal Co., Ltd. is a professional manufacturer and supplier of tungsten products, like tungsten wire (wolfram wire). Our products are mainly exported to United States, South Korea, Russia, Japan, Germany, France, Brazil, Ukraine, Italy and other international markets.